NICE has agreed a deal with Roche on its new follicular lymphoma treatment Gazyvaro, giving the drug up to four years to prove its value to patients. The agreement has been hailed as a breakthrough by Roche, which has been at loggerheads with the cost effectiveness watchdog over its high priced cancer drugs many times in recent years. Relations between Roche and other pharma companies and NICE and budget holder NHS England have thawed in recent times, however, with numerous access deals having already been agreed this year, including on Roche’s breast cancer treatment Kadcyla. But while many recent deals involved drugs being removed from the Cancer Drugs Fund (CDF), Gazyvaro will be added to the system, now a ‘managed access fund’. This means Gazyvaro (obinutuzumab), a next-generation leukaemia and lymphoma treatment, will have four years to prove itself – a more generous period than expected – largely through more mature data emerging from clinical trials. If at the end of this period the drug is shown to be cost effective, it will be added to routine NHS use. If not, it will lose all reimbursement – but Roche is confident the drug will demonstrate its value in this time. NICE says Gazyvaro can be used on the NHS in combination with bendamustine (chemotherapy) followed by obinutuzumab maintenance for the treatment of patients with refractory follicular lymphoma (FL). The drug will only be given to patients who do not respond or who progress during or up to 6 months after treatment with rituximab (Roche’s own MabThera) or a rituximab-containing regimen, the current standard of care. 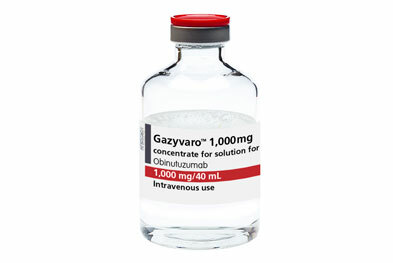 It’s estimated that 600 new patients per year in the UK would be eligible to receive Gazyvaro in the relapsed refractory FL indication. The deal is hugely significant for Roche in the UK, particularly as biosimilar versions of its top-seller MabThera were launched earlier this year, and are set to decimate sales of the originator drug. Recent figures show that the NHS in England spent £155 million on the drug across all indications in the last financial year. 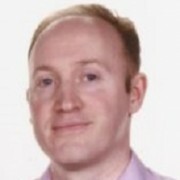 Richard Erwin, General Manager at Roche UK said he was delighted at the breakthrough agreement on Gazyvaro. From Roche’s perspective, a four year access deal is a victory – this will allow plenty of time to accumulate new data, much longer than the two year period originally mooted as the typical timeframe for CDF deals. “Gazyvaro is one of the first in a series of innovative therapies that are expected to be considered by NICE this year via the new appraisal process for cancer medicines, and it could make a significant difference to patient outcomes across England,” said Erwin. NICE had originally rejected the drug in refractory FL last September, saying there were too many uncertainties around its evidence base – a common refrain on many cancer drugs, which are increasingly approved on early stage data. Roche’s drug is one of the first to be funded through the new CDF. AstraZeneca was the first to agree to a time-limited deal, its lung cancer drug Tagrisso given until March 2019 to accumulate extra data. Funding for these drugs comes from the ring-fenced CDF annual budget of £340 million – but NICE had already secured a confidential price discount on Gazyvaro’s list price of up to £66,240 per patient.